Its formula contains Macadamia and wheat proteins which helps to deeply condition the hair leaving it smooth, soft and shiny.It is ideal for damaged and dry hair, also for chemically treated hair such as straightening or coloring. Treatment cream formulated with an exclusive combination of keratin, macadamia and wheat protein. It has a high conditioning action that recovers the structure of the hairs, keeping them soft, healthy and very shiny. A hair treatment without similar, in addition to promoting the repair and maintenance of hair fibers. It is easy to use and enables to smooth, soften, hydrate and restore hair protein. How to use: Wash hair as usual. 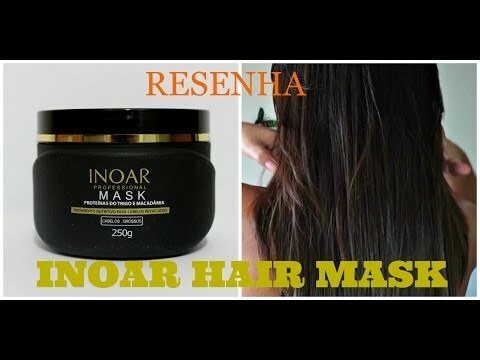 Apply enough MASK to damp hair focusing on the most damaged areas. Leave on for 15 minutes using plastic cap and heat and a maximum of 30 minutes with plastic cap.